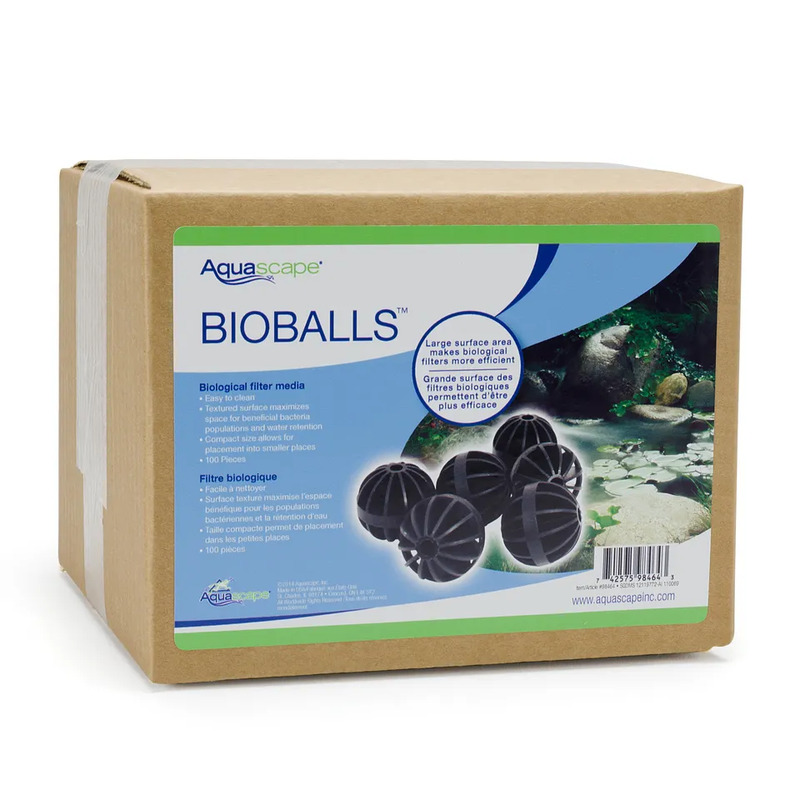 BioBalls Biological Filter Media - 100 count - Aquascape, Inc.
Aquascape BioBalls Biological Filter Media supports effective biological filtration by providing textured surface area for beneficial bacteria to grow and colonize. 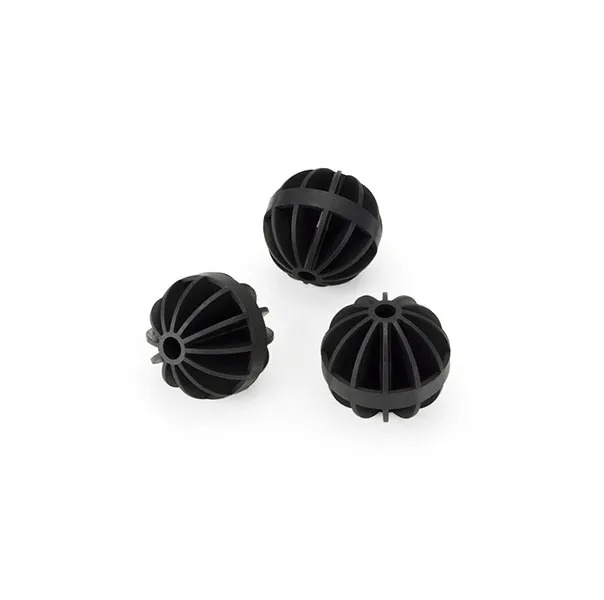 Each ball offers 19 square inches of surface area, and the center channel allows the balls to be strung together, making cleaning quick and simple. 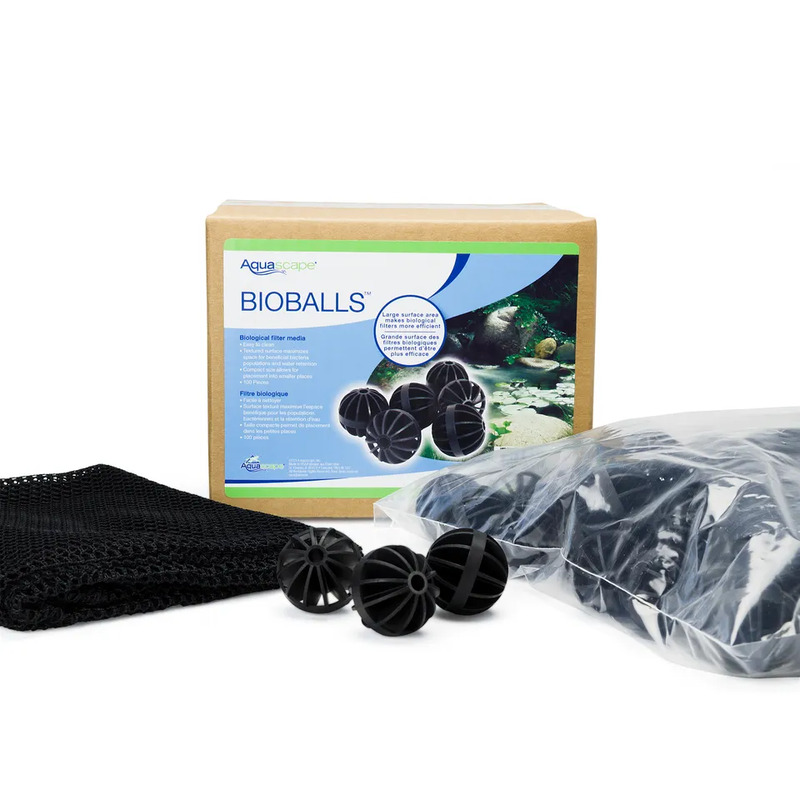 BioBalls will not break down like traditional biological media options, providing years of trouble-free use without replacement. The paddle wheel design breaks water-flow, helping to de-gas the water and maximize dissolved oxygen levels. 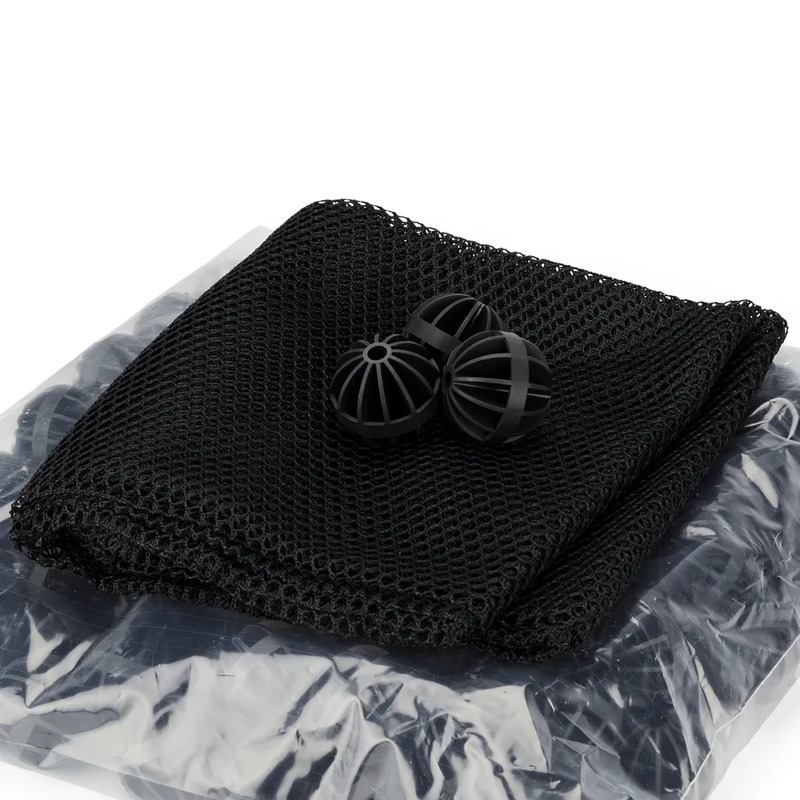 Compact size allows for placement into smaller spaces and each 100 count includes a media net with drawstring. Aquascape is passionate about the products we produce, providing unique products, designs and features that stand above the competition.